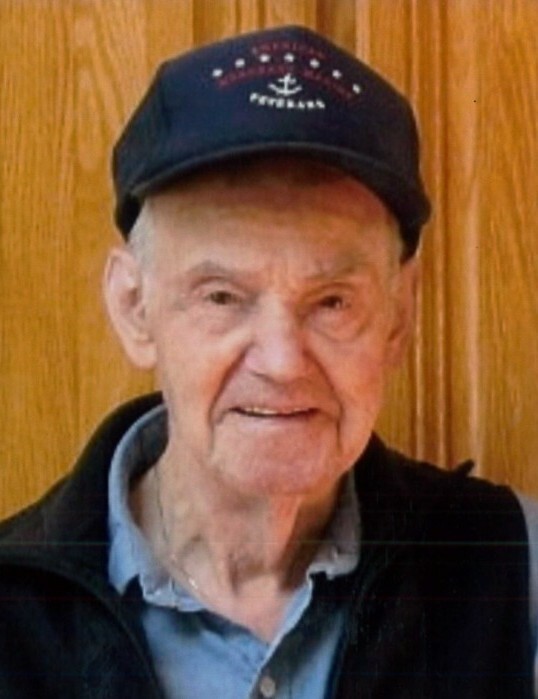 Duane Harrison Dockins of Newport, OR passed surrounded by family on March 17, 2019 to be with his lord, our father. He was born to Joseph & Ida (Moffatt) Dockins and raised on a wheat and cattle farm in Clyde, Kansas. He developed a strong sense of determination and family while enduring hard times and experiencing the Great Depression as a young man. He attended a small local one room schoolhouse and graduated from Clyde High School in 1942. 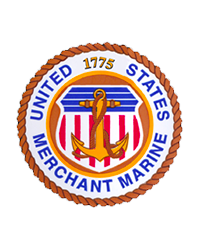 With the outbreak of WWII, Duane joined the United States Merchant Marines and trained at the U.S. Maritime Service Base at Catalina Island. He served his country as a Ship Helmsman sailing throughout the world providing resources and much needed supplies to our fighting forces. Duane worked selflessly throughout the years providing a home and security to his family. Ever the humble and grateful father he never sought more than he needed and taught his children the importance of an honest days pay for an honest days work. Duane spent his free time as a family man dedicating himself to the raising of his children, involving himself in family activities, joyful automobile trips and of course teaching his sons to pitch and coaching little league baseball, the game he loved. Duane held many jobs during his life. He contracted to the US Postal Dept. as a mail transfer between mail trains and the Clyde Post Office until moving to Portland, OR. in 1952. He worked firing stationary steam boilers for Malarkey Inc. a door manufacturing plant. He was also employed by Simpson Timber. In 1960, the move was made to Lincoln County where the family spent the majority of their years in Waldport. Once there he worked as a truck mechanic for Lundy Bros. and in 1968 until his retirement he worked at Georgia Pacific Toledo Division first in the yard crew, the switch crew, and finally as a warehouse scaleman. In his retirement, Duane spend his days with walks on the beach collecting agates and polishing them, attending family get togethers, listening to country music and always looking forward to the Little League World Series. He was articulate and well read. He loved to discuss politics, cars, baseball and of course he loved to regale any and all with the stories of his adventures on the high seas. For awhile he served on the board of directors of a local chapter of retired Merchant Marines helping to get benefits for fellow Marines. He will be greatly missed by all who loved him. He is survived by his wife of 71 years, Bernice. His younger sister Julia of Beaver City, NE and his children Darla Bauer of Newport, Sharon Dockins of Waldport, Stephen Dockins of Philomath and Joe (Shelly) Dockins of Eddyville. Grandchildren Michael, Melissa, Jace, Derik, Bryce, Taylor, Matt, Tristan & Kelly. Great Grandchildren Logan, Myrah & Kharter and numerous nieces and nephews. He was preceded in death by his parents Joseph & Ida, and his brothers Edward, George and Frank Dockins.